We are excited to partner with Apex Nutrition to provide professional sports nutrition services. Apex Nutrition is owned by Kelli Jennings, Registered Dietitian (RD). Kelli’s focus is endurance sports nutrition, wellness, disease prevention, and metabolism. She specializes in helping athletes achieve goal weight and body fat percentage while maintaining muscle, strength, and stamina. She also rides and races mountain bikes which makes her a great fit for us here at LW Coaching. She knows what we need. “My experience working with Kelli @ Apex Nutrition has been nothing but positive. Through the use of Kelli’s services, I have been able to make some key changes to the way I eat on a daily basis and I have lost several pounds as a result. In addition to making better daily nutrition choices, Kelli has helped me dial-in my training & racing nutrition so that I have consistent energy on the bike.” Dave B.
Apex Nutrition provides straight forward plans based on nutrition science. Kelli boils it down and tells you in simple terms what to eat. Her plans work. Click on the Apex logo below to purchase instant download plans, custom nutrition plans and nutrition coaching. 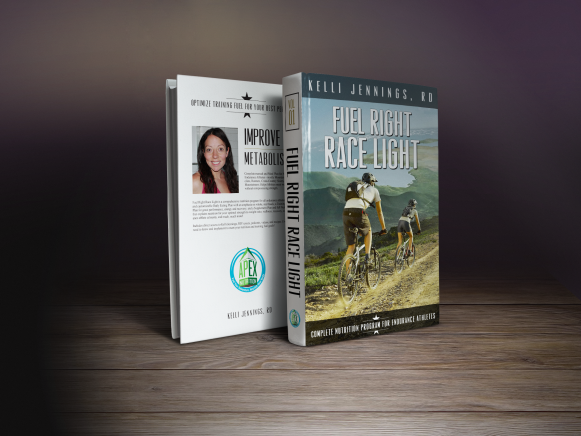 In addition to personal nutrition analysis and coaching you can purchase Kelli’s eBook. Look for an in-depth review of her book from me soon. This book is comprehensive and does exactly what the title claims. Kelli teaches you when and where to trim the calories to be fast, healthy and skinny. We all know there is no benefit to being race-light if you are bonked all the time. She guides you through proper fueling for training and events so you can achieve that trim and fit combo that feels so good.